The birth of a baby should be a thing of joy. But for Blessing Agbo and her live-in lover, Chibugo Duru, the event has brought shame and disgrace. 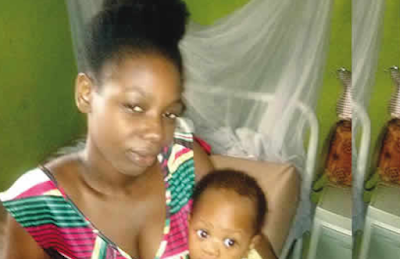 Punch correspondent gathered that the baby’s father, Duru, had already abandoned both mother and child at the medical facility in the Ilogbo, Ojo area of Lagos State. Punch correspondent gathered that although the couple had agreed to marry each other, Duru had yet to pay Agbo’s bride price. “They locked me up and said I must produce their money. I was embarrassed. Because of that experience, anytime I want to go there, I become scared. At a point, they threatened me that they would sell my baby over the bill. None of my relatives go there again, because they have threatened them. I don’t know what to do. I never knew she would need a surgery to give birth,” he added. “After a fight with the girl at the hospital on September 11, he came and signed an undertaking not to abandon her again.